The “ORIGINAL” laminate repair solution. This user friendly product will quickly and easily fix damage or fill seams on your laminate counter surface. Repair nicks, fill seams and make gouges all but disappear with this one-part system. SeamFil laminate repair bonds mechanically to the substrate of laminate and dries hard, becoming a permanent part of the laminate surface. SeamFil laminate repair also resists moisture, detergents, and other household products as effectively as the original laminate. Typical applications for this product are filling standard joints, cracks, chips and other imperfections where the dark substrate is visible. Properly used, custom colored SeamFil laminate repair will hide defects beautifully for the life of the counter. SeamFil Laminate Repair Special Colors are specifically matched to laminate colors that are part of Formica, Nevamar, Pionite and Wilsonart’s current line. Please use the drop down box below to select the specific manufacturer and color that you need. The “ORIGINAL” laminate repair solution. This user friendly product will quickly and easily repair damaged or fill seams on your laminate counter surface. Repair nicks, fill seams and make gouges all but disappear with this one-part system. SeamFil laminate repair bonds mechanically to the substrate of laminate and dries hard, becoming a permanent part of the laminate surface. SeamFil laminate repair also resists moisture, detergents, and other household products as effectively as the original laminate. Typical applications for this product are filling standard joints, cracks, chips and other imperfections where the dark substrate is visible. 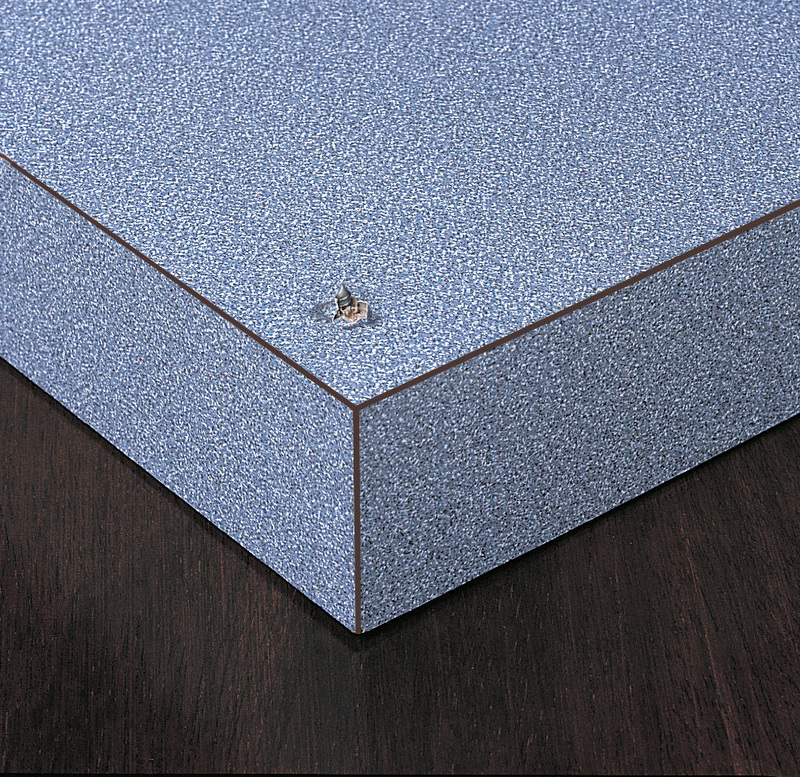 Properly used, custom colored SeamFil will hide defects beautifully for the life of the counter. If purchasing SeamFil, we strongly recommended that you use SF-99 solvent for preparation of the laminate and clean-up following application. We also offer SeamFil Combo Boxes that include everything you need to complete the job (1 tube of SeamFil in your choice of color, 1/2 pt. SF-99 Solvent and one putty knife). SeamFil laminate repair is a single part, solvent based repair system for high pressure laminated surfaces. It will cure in approximately one hour, but we recommend 24 hours for total cure. SF-99 Solvent is the ONLY recommended solvent for use with SeamFil. One (one ounce tube of SeamFil) will approximately fill an 8 foot Seam of Counter with an 1/8″ bead. If the seam is wider than 1/16″ (but should never be larger than 1/8″) a second application will probably be necessary. It can be used to fill an area that is no longer than 1/4″ in diameter. SeamFil laminate repair will not freeze because of the solvent. The shelf-life of SeamFil is 1 year if opened and correctly capped, two years, if unopened. SeamFil’s VOC is 48 (529 g voc / L) wet measurement and SF-99 Solvent is 100% VOC and will attack non-laminate surfaces like, finished wood, PVC, etc. SeamFil dries to a matte finish. To obtain a Glossy Finish, 943 Clear Gloss should be added. To increase the cure time of SeamFil, 944 SeamFil Retarder can be added to the mix. SeamFil is a one-part system that is a solid color. It does not have any variation of color within the tube for patterns or wood grain effects. SeamFil is NOT recommended for use on Solid Surface materials. Our ColorFlex or ColorFlex II product is used for Solid Surfaces.